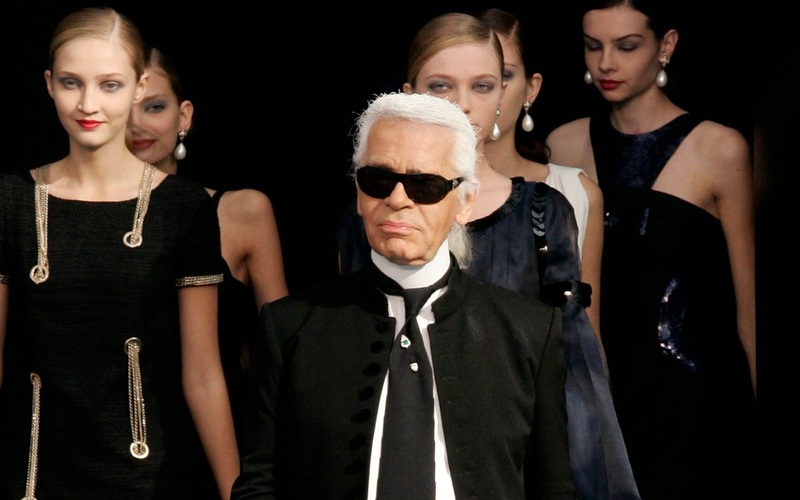 Fashion maestro Karl Lagerfeld defied the sub-zero temperatures of Paris, and brought forth a sun-baked Italian villa to his Chanel Spring/Summer 2019 Haute Couture Fashion Show. 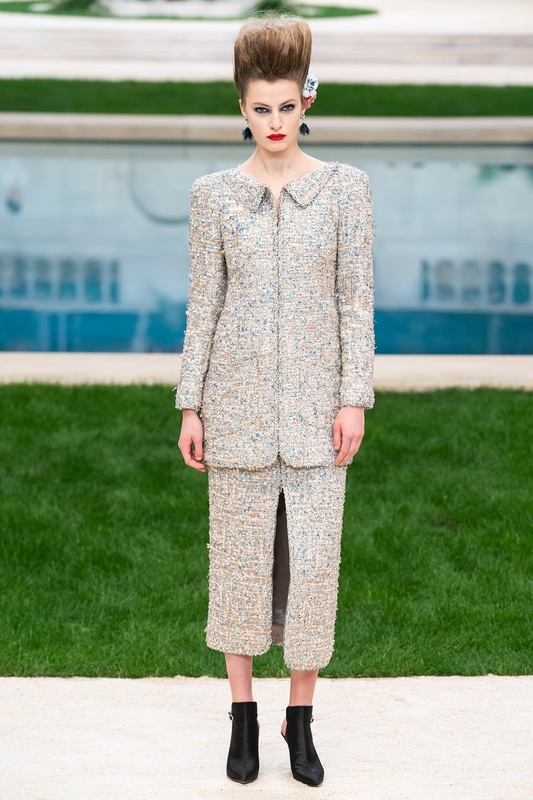 Held during the ongoing Paris Haute Couture Fashion Week, the Chanel Haute Couture runway was surrounded with terra-cotta urns of oleander that flanked a cool blue pool, while cypress and palm trees shaded the sandy pathways. Completing the classic Italian villa feel were stone balustrades and a sweeping staircase. Karl Lagerfeld stayed true to his signature style of luxury and sophistication and sought inspiration from the18th century, particularly "La Fabrique du luxe: Les marchands merciers parisiens au XVIIIe siècle" at the alluring Musée Cognacq-Jay, a dainty little museum in Marais. The exhibit shows the Parisian merchants supplying the wealthy of the 18th century with luxury goods of all kinds, from silken ribbons to gilded picture frames along with luxurious furnishings. Bringing that exhibit to life, Karl Lagerfeld, with the help of the skills French couture suppliers, transforms flowers in feathers and hand-painted sequins. Seen throughout the collection is the technique of using dried flowers dipped in resin, and embroidered to different materials. Also taking center stage in the collection is an array of airy organza, chiffon, leather and lace with Chanel's beloved handwoven tweeds. Lean silhouettes are seen in the collection with angled shoulders, pencil skirts, chic asymmetric ruffles and looped fabrics draped in a way to reminiscence the 18th century. Solid embroidery, bateau necklines and origami folds into the waistlines were seen, and the Chanel bride stole the limelight, clad in a swimsuit encrusted with silver flowers and a shimmery veil.